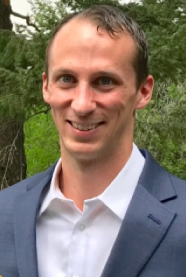 DENVER, Dec. 12, 2017 /PRNewswire/ -- Global life sciences group Telos Partners LLC (telospartnersllc.com) has announced the appointment of Jason Inzana, Ph.D., as manager of Evidence Strategy and Development. In this role, Dr. Inzana will facilitate the ongoing growth of the Telos Partners brand and support the company's mission of threading the needle between scientific, regulatory and publication objectives to accomplish client goals. An avid mountain climber and runner, Inzana understands the real-world implications of advances in biomechanics and orthopedics and is dedicated to disseminating evidence that will drive the next generation of health care solutions. "Building and telling the story of scientific evidence is the engine of technology adoption, access and reimbursement," stated Inzana. Founding partner Joel Batts commented, "Telos' rapid growth in 2017 reflects the commitment to make clients' achievements our own. Dr. Inzana will further strengthen our ability to deliver on this commitment with his formidable combination of science know-how and client engagement."